Guided trips are our specialty. We care that everyone has fun and enjoys the excitement of a successful outing. Full Day Guide Trips are $500 with lunch provided by guide. Minimum of 8 hours on the water. Most full day trips will go a bit longer weather and sunlight dependent. 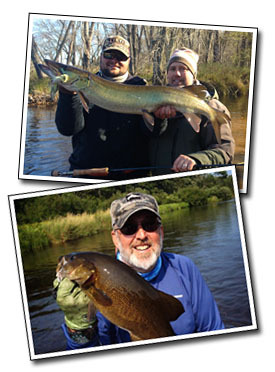 Chris Willen's guide service promotes catch and release of all musky and small mouth bass. Everything you will need to catch and release your musky, small mouth bass, northern pike, or whatever else climbs on.